The Border Crossing Observatory is excited to announce its involvement with Academics for Refugees on their National Day of Action. This is an initiative to stand up for the human rights of refugees. 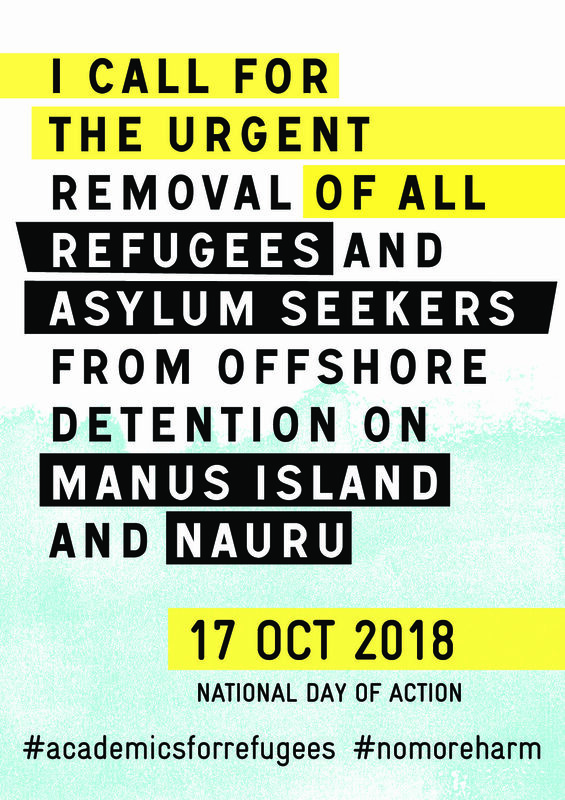 Join us on the Wednesday the 17th of October to call for the closure of offshore detention, for the change of policy to support refugee rights and for the resettlement of refugees currently detained on Manus Island and Nauru. The Border Crossing Observatory will be running a twitter campaign. To be involved in this movement, please send through short extracts (less than 200 characters) from your favourite writing by or for detainees to meg.randolph@monash.edu by the 15th of October to be included in our twitter campaign.